ProvenExpert – User interview: A start-up is born...and then? A product founder now a second time round, René Seppeur knows all about the power of advocacy and online reputation. ProvenExpert has been a steadfast component of his success for the past three years. He explains here why. 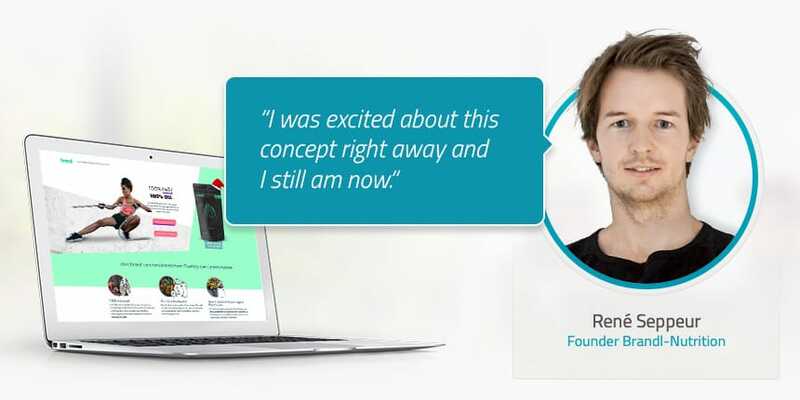 René Seppeur is a start-up entrepreneur with passion. He's just successfully introduced his second product to the market – Brandl protein shakes, which are set to relax sport fans' muscles faster than similar products from competitors. A ProvenExpert profile is essential for him, because he knows that he can only continue to improve and develop his product with the help of his customers. Negative and positive feedback are both valuable for pushing through a new product on the market. René Seppeur believes that customers are the best barometer of quality when establishing a new product successfully on the market. In this interview, he tells us how he has harnessed the power of customer reviews towards his own business success. Your new protein shake differs from other conventional fitness drinks – how important is customer feedback for you in this context? For one, it's both important and interesting to see whether this difference is recognized in the first place. Also, we can recognize how customers can perceive and evaluate this difference. This feedback is incredibly valuable to us. How important is standing out for the crowd for you, particularly when ones thinks of the endless range of shakes for sportspeople that are available these days? It's hugely important! Our concept came about from this reason, since we weren't happy with other products on the market. There's not a great deal of difference between many fitness products. We organized the competition on this basis into mass producers/established producers and health-oriented producers. So we identified two categories, but we couldn't find any that manufactured customized shakes. In addition, no manufacturer had come up with an all-in-one product like ours. Our product is a all-in-one drink that combines 30 ingredients. This means you only need one product, not five different ones. These were our main points of focus, and our starting point for Brandl protein shakes. Our goal is to optimize precisely what makes us different in order to stick out from the crowd. With the help of feedback left on our ProvenExpert, we were able to see how that strategy was working out for us, and what we needed to do differently. Why do you keep coming back to collaborate with ProvenExpert? I joined forces with ProvenExpert again because our previous cooperation had worked well and ran without a glitch. So when it came to establishing my new product, I didn't hesitate to approach ProvenExpert again. I was impressed most of all by the effective complaint management system, as well as the price-performance ratio. Since 2017, ProvenExpert is available in English. I'm really happy about this, because it enables me to reach even more customers. What's more, as a start-up guy myself, I am always willing to give companies with clever and innovative ideas a chance. I was enthusiastic about ProvenExpert's concept then, and still am today. Has customer feedback enabled you to optimize the development of your product? I've been using ProvenExpert for about 3 or 4 years. We collect comments, complaints and feedback via all channels: Facebook, email, telephone and directly via ProvenExpert itself. For us, ProvenExpert is the best channel for aggregating comments regarding improvement, positive feedback and similar all in one place, ready to take on board and implement. For Brandl nutrition, for instance, the customization aspect of our product is our greatest strength, in addition to its taste. Before, we often received feedback saying that the flavour could be better, so we were then able to focus on this aspect to improve the recipe and modify our production process. In terms of the first product I launched, the Space Wallet, I received feedback on product delivery, which enabled us to work on improving and optimizing our delivery process. As this shows, we take customer feedback to heart. How do you let people know about your ProvenExpert profile? We publish the ProvenExpert seal on our website footer and in our shopping cart. We're also thinking of integrating the seal into the webpage margin. We also want to integrate the seal into the product website, so that when it comes to deciding on a purchase, customers are reassured by feedback by others. What tools do you use to send invitations? For Brandl, we send an email newsletter. When someone buys our product, after 10 or 14 days they will receive an invitation to evaluate us on our ProvenExpert profile. Open rates for emails are at around 50% and the click rate is around 11%. This means that one in 10 buyers clicks and rates us, and we get regular reviews and ratings this way. To start with, we also published surveys on our Facebook page in order to make our profile visible to consumers and to generate feedback. 10% more revenue in just 15 minutes per week. ProvenExpert is the online platform for qualified customer feedback and review aggregation. A tool that enables business owners and service providers of all sizes to actively seek customer reviews with industry-specific survey templates, bundle existing customer reviews in one location and present the overall score in a way that makes it more effective. Already more than 66,000 entrepreneurs and service providers of all sizes benefit from ProvenExpert. 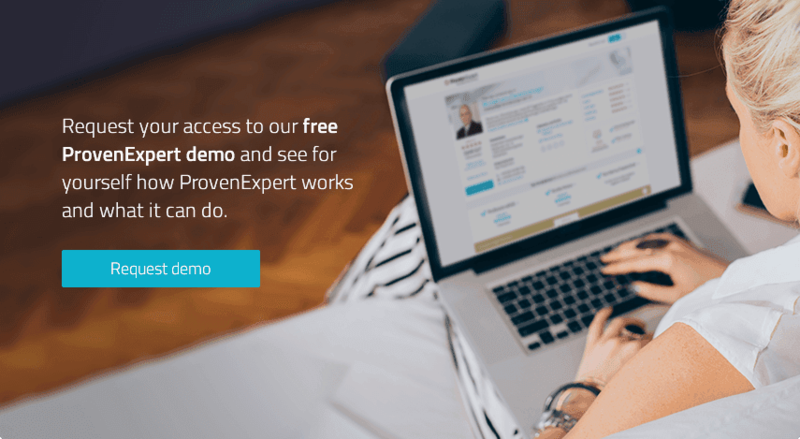 ProvenExpert – User interview: Constructive and destructive criticism? 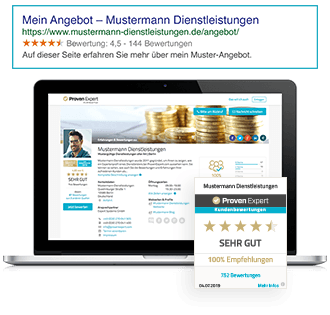 ProvenExpert user Joachim Malz discusses his experiences with both kinds of feedback and how this has enabled him to optimize his business operations. ProvenExpert user interview: If you want success, you need to know how the digital age works. Professional painting service provider Matthias Schultze is an expert in doing business online. This helps him kill two birds with one stone – he can attract new customers and young, qualified employees too. Please take a few moments!